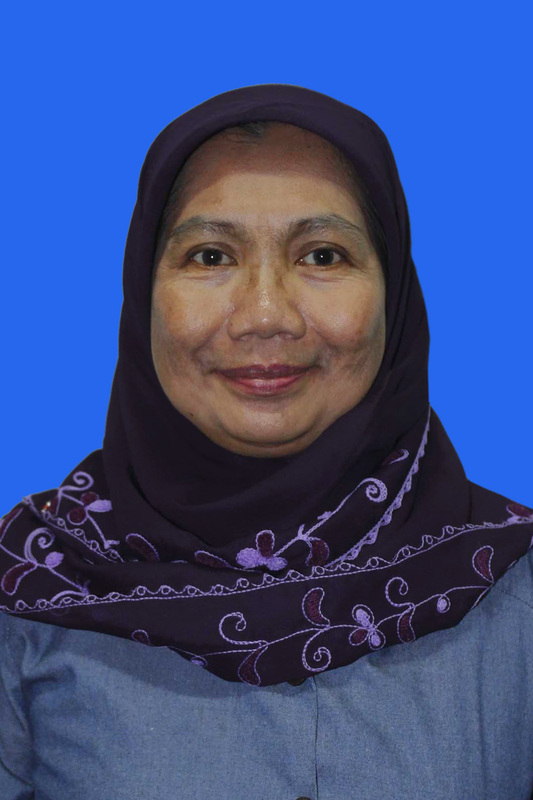 Profil Prof. Dr. Tati Suryati Syamsudin, MS, DEA. Prof. Dr. Tati Suryati Syamsudin, MS, DEA. The effect of plant population and soil macrofauna on intercropping system, as an effort of erosion control on dry land. Funded by The Directorate General of Higher Education (Desentralisasi), 2015. Erosion Control of Dry Land by Intercropping System. Funded by The Directorate General of Higher Education (Desentralisasi), 2014. Identification of molecular marker gene of black soy bean isoflavon content that adaptive to climate change. 2012-2013: the Ministry of Agriculture. Fruit fly distribution (Diptera: Tephritidae) in equator and its related to climate change and host plant phenology. 2010. Funded by the Ministry of Education and Culture. Komara, L.L., Choesin, D.N., Syamsudin, T.S.. Plant diversity after sixty years post coal mining in East Kalimantan, Indonesia. [full text]. Biodiversitas. 2016. Titisari, P.W., Syamsudin, T.S., Sjarmidi, A. The utilization of bioresources by local communities at Giam Siak Kecil-Bukit Batu biosphere reserve, Riau Province, Indonesia. Biodiversitas. 2016. Andria Oktavian., Tati Suryati Syamsudin.. The community of makrozoobenthos in lotic ecosystem in the area of Institut Teknologi Bandung campus, Jatinangor, Sumedang, West Java. PROS SEM NAS MASY BIODIV INDON. 2016. Sutrisno, Syamsudin, T.S., Alamsyah, E.M., Purwasasmita, B.S. Synthesis and characterization of bio-based nanomaterials from jabon (anthocephalus cadamba (Roxb.) Miq) wood bark: An organic waste material from community forest. Journal of Mathematical and Fundamental Sciences. 2015. L. M. H. Kilowasid, T. S. Syamsudin , E Sulystiawati, F-X Susilo. 2014. Structure of soil food web in small holder cocoa plantation, South Konawe District, Southeast Sulawesi, Indonesia. Agrivita Vol 36 no 1, 33-47. Sutrisno, Syamsudin, T.S., Alamsyah, E.M., Purwasasmita, B.S. Synthesis of bio-based nanomaterial from surian (Toona sinensis roem) wood bark using conventional balls milling method and its characterization. Journal of Biological Sciences. 2014. Kilowasid L.H.M., T . S . Syamsudin , F.X. Soesilo , E S u listyawati and H. Syaf. 2013. Characteristic of soil fauna communities and habitat in small holder cocoa plantation in South Konawe. J ournal of Tro pical Soils , 1 8 : 1 49 -1 59. L.H.M. Kilowasid, T . S. Syamsudin , E . S u listyawati and F.X. Soesilo . 2012 . Ecological diversity of soil fauna as ecosystem engineers in small holder cocoa plantation in South Konawe. J ournal of Tro pical Soils , 17: 173-180. Syamsudin, T. S. & Lilis Setiasih. 2015. Biology. For High School (untuk SMA Kelas XII). Quadra. 978-979-0540-67-5. Text in Indonesian (Juni 2015). Syamsudin, T. S. & Lilis Setiasih. 2014. Biology. For High School (untuk SMA Kelas XI). Quadra. 978-979-054-066-8. Text in Indonesian. (Juli 2014). Syamsudin, T. S. & Lilis Setiasih. 2014. Biology. For High School (untuk SMA Kelas XI). Quadra. 978-979-054-066-8. Text in Indonesian. (Januari 2014). Syamsudin, T. S . 2011. Ecosystem transformation in variation of spatial distribution of invertebrate. Majelis Guru besar ITB. ISBN : 978-602-8468-34-3 pp 58. Supriyadi A., T. S. Syamsudin , E. Sulistyawati, 2014. Assessment of soil quality based on organic carbon, microaggregate and the presence of soil fauna. The 4th International Symposium for Sustainable Humanosphere (ISSH). Bandung, 22 -23 December 2014. Syamsudin T.S. 2013. The Ecology of Bactrocera carambola and B papaya and their methods of control in Indonesia. Presented on Management of fruit fly in South East Asia : Implication for pest control and biodiversity conservation. Univ Putra Malaysia, Malaysia 20-21 November 2013. Tati Suryati Syamsudin, Glenda Gloria and Prima Mayaningtias. 2012. The Potential of Macrozoobenthos Community as Indicator of Water Quality in Ciliwung River, Bogor, West Java. International Conference on Mathematics and Natural Sciences (ICMNS). Bandung. November 2012. Syamsudin, T.S. 2011. Protection of diversity in economically important fruits. Workshop of JSPS International Training Program (ITP) to Protect Diversity of Bioresources in the Tropical Area. ITB. October 2011. Kilowasid, L.H. and TS. Syamsudin. 2011. Soil fauna ecology and nitrogen cycling in cacao plantation. Workshop of JSPS International Training Program (ITP) to Protect Diversity of Bioresources in the Tropical Area. ITB. October 2011. Dadang Sumardi, Rijanti Rahaju Maulani, Adi Pancoro, Agung Karuniawan, Tati Suryati Syamsudin. 2017. Potensi Hasil Biji dan Kandungan Isoflavon Kedelai Hitam Lokal. Seminar Nasional Peluang Pengembangan Tempe dan Produk Kedelai bagi Industri Pangan dan Farmasi Masa Kini dan Nanti. Forum Tempe Indonesia dan Pergizi Pangan Indonesia. Rizki Putra an d Tati Suryati Syamsudin . 2011 . Rizki Putra and Tati Suryati Syamsudin. 2012. Population Distribution of Bactrocera dorsalis Complex (Diptera: Tephritidae) in Bukittinggi and Pontianak from Invested Star Fruits (Averhoa carambola) and Methyl Eugenol Traps. Presented in National s eminar PERHORTI – Lembang 23-24 November 2011. The Raffles Bulletin of Zoology 55(1): 65-68. Date of Publication: 28 Feb.2007. © National University of Singapore. Kepadatan, biomassa, dan pola distribusi keong lola (Trochus niloticus) di pulau Saparua, Kabupaten Maluku Tengah. Fruit Fly (Bactrocera carambolae Drew & Hancock) Response to Several Types of Local Protein Baits under Laboratory Condition. Potensial reproduksi keong lola snail (Trochus niloticus) di Kepulauan Saparua – Maluku Tengah . Estimasi Daya Dukung dan Pola Pertumbuhan Populasi Keong Lola (Trochus niloticus) di Pulau Saparua Kabupaten Maluku Tengah. Jurnal Matematika & Sains 10(3):75-80.